The first elimination game of the College World Series sent the first team home on Sunday when Florida State beat Stony Brook 12-2. Collegebaseball360.com caught-up with several CWS performers Sunday, including FSU’s Mike Martin and South Carolina pitcher Michael Roth. They’re HERE!! 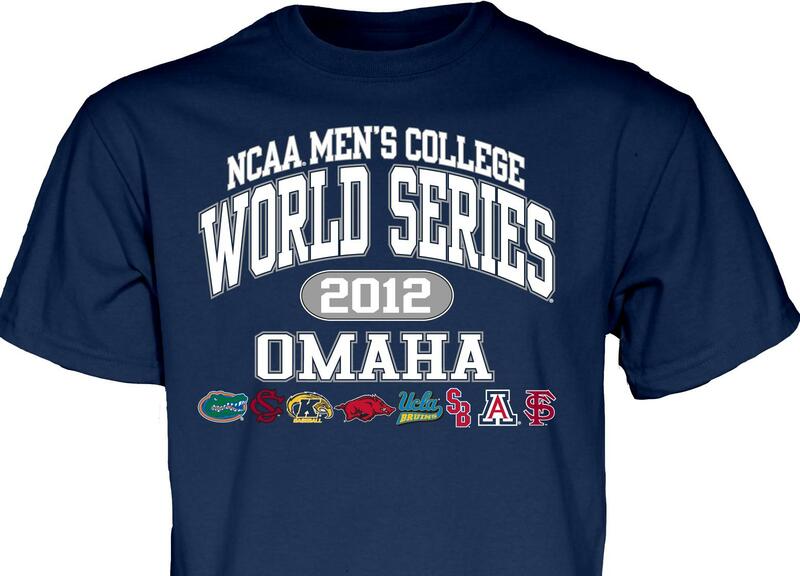 The Dugout in Omaha has official College World Series gear for each of the eight teams, including those Stony Brook Seawolves. If you want to be the first kid (no matter what age) on your block to have this year’s official CWS shirts, hats and more (both for individual teams or generic) click the red link and get to The Dugout’sweb site! Florida State head coach Mike Martin discusses Stony Brook’s run to Omaha, his team’s win over the 2012 CWS Cinderella and Rosenblatt Stadium memories. Stony Brook third baseman Willie Carmona discusses his time at the 2012 College World Series. South Carolina pitcher Michael Roth discusses his team’s success and the part he has played in helping the Gamecocks win two national championships. Arizona’s Seth Mejias-Brean discusses the Wildcats’ Sunday win over UCLA in Omaha. Pitcher Konner Wade discusses his complete game victory over UCLA on Sunday at the CWS.